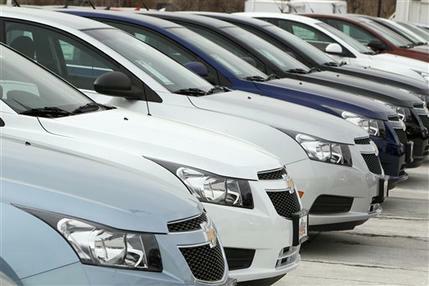 Detroit - A risk of engine fires is forcing General Motors to recall its popular Chevrolet Cruze compact car. The recall includes cars built from September of 2010 through May of 2012 at GM’s Lordstown, Ohio, assembly plant. They were sold in the U.S., Canada and Israel. I'm sorry, last I checked, he was the President of the United States... not a car manufacturer, or an engineer. Can I blame ALL of the Republicans for the bridges & roads crumbling all over this country?! Because they never seem to want to spend the money to fix any of them. Perhaps it's THEIR fault then? “ I'm sorry, last I checked, he was the President of the United States... not a car manufacturer, or an engineer. He is the one who spoke to much about how he saved GM and how well they were doing, what a quality product they were making. You can blame whoever you wish. My remark wasn't a partisan remark. Most of Congress, Dem and Rep are no good and are only there for themselves. That being said, the Democrats want to tax and spend all of our money on entitlements in order to have the people beholden to them so they will continue voting for them. Some Republicans, at least, want to try to cut spending. Spending has to be cut, the question is from where. I guess the Republicans, who mostly also just care about their jobs don't want to be seen as the ones to take away someone's foodstamps, etc. It is not a good situation.